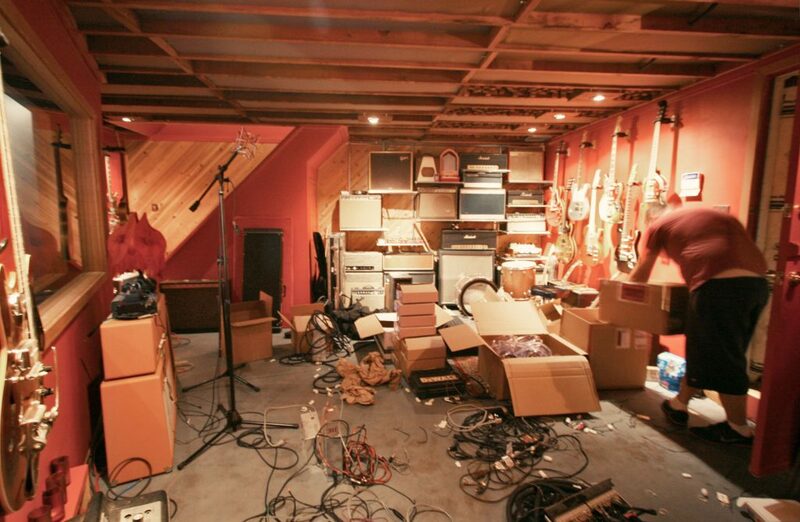 Earlier this year, we decided that it was time for a major overhaul in Bobby’s recording space, CatBeach Studio. He was running into issues with software upgrades and hardware compatibility, not to mention the wiring throughout the studio needed some love and care. 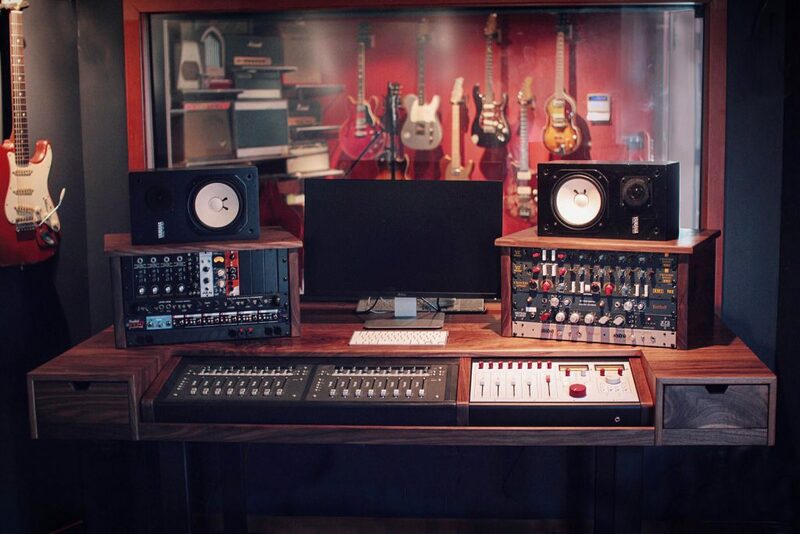 Bobby spent months researching gear and thinking through the right workflow for this particular space and his recording and producing needs. 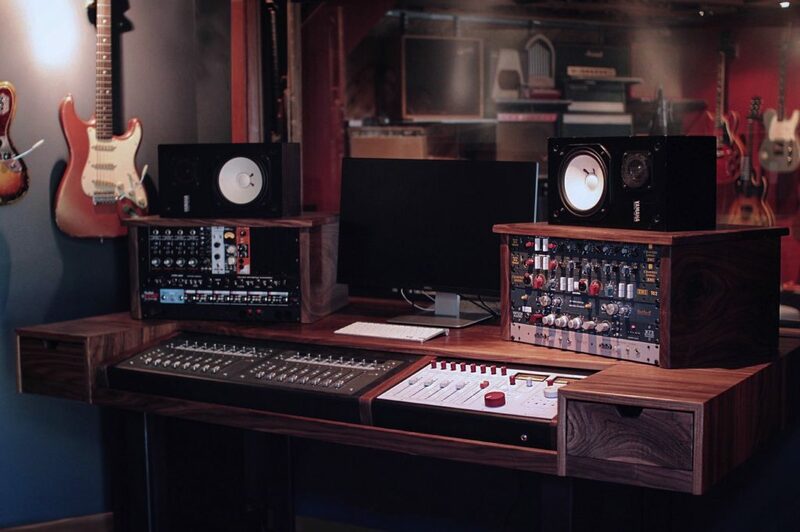 The first piece of gear that Bobby decided on was the Neve 5060 Centerpiece Desktop Mixer. It’s analog, class-A circuitry definitely ups the quality of the monitoring signal path in the studio and gives great flexibility for summing audio in the analog realm. 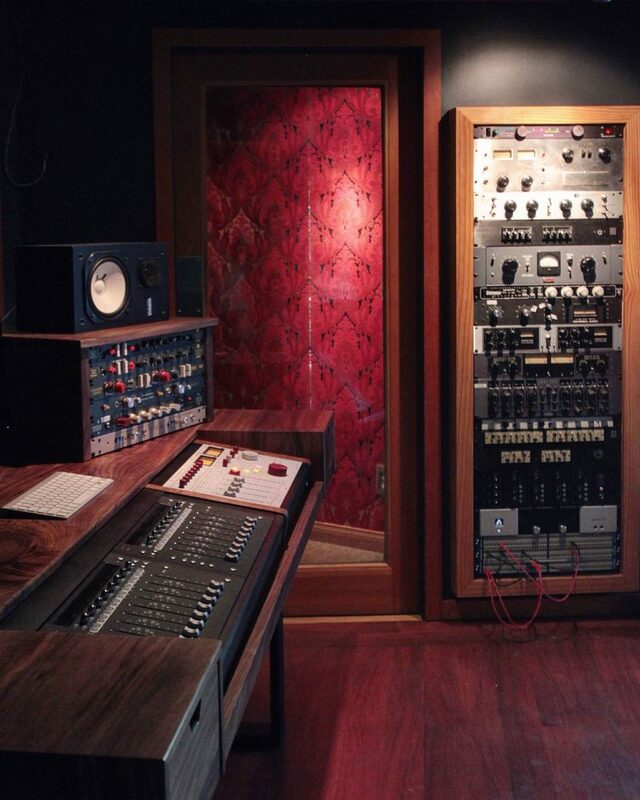 Just running the source tracks through the tried and true Neve transformers makes everything sound bigger and better. 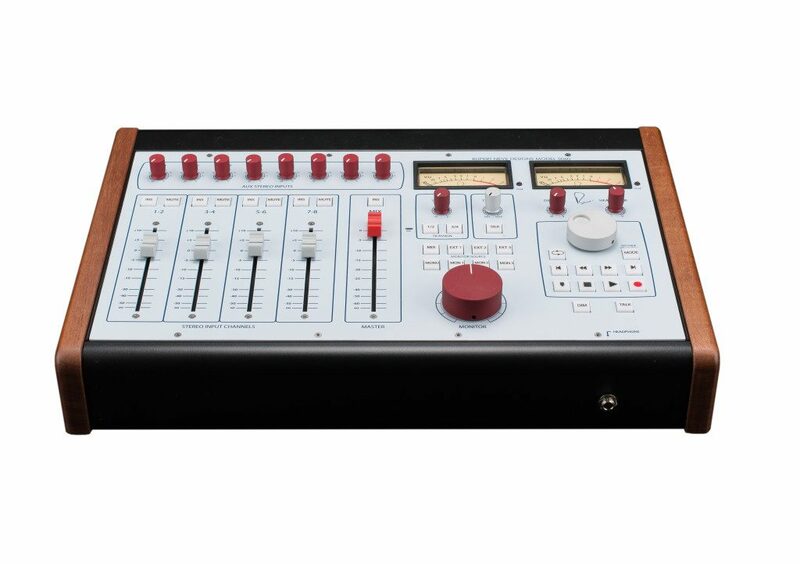 The board has a nice transport control for Pro Tools and also, can we all just note how ridiculously cool it’s design is!? To work alongside the Neve, Bobby bought two Avid Artist Mixes, basically providing hands on control with Pro Tools. 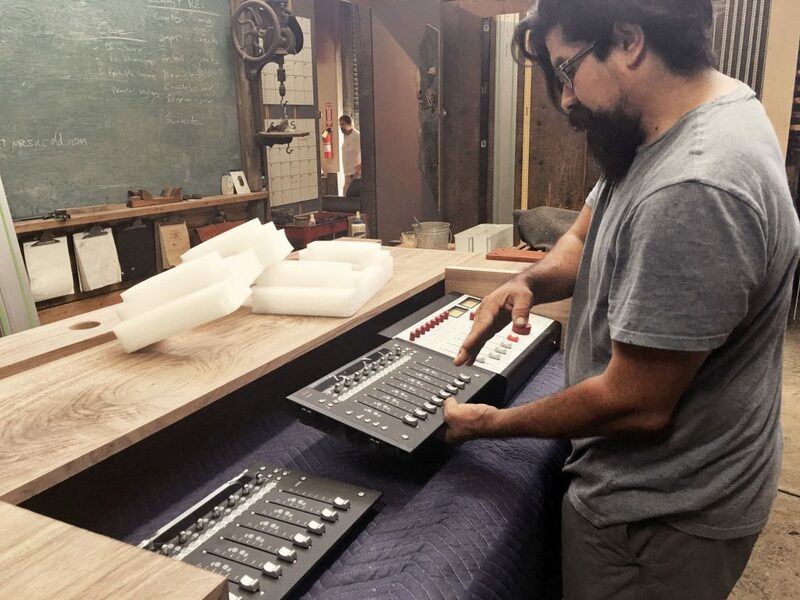 For many producers and mixers, including Bobby, it’s important to have a nice tactile surface for fader and pan controls, without using a standard mouse. We decided to install two of these, which work together to give 16 physical faders that can be banked, allowing access to the maximum number of PT channels that each session requires. 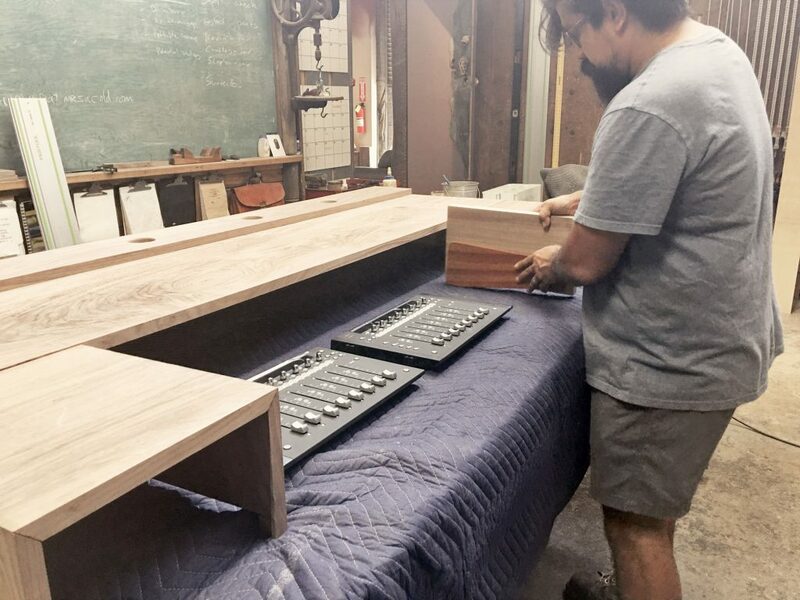 After picking out the main pieces, we decided that we wanted to have a custom desk built that would accommodate the modules while giving them a built-in look. We found this incredible millwork artisan, Brandon at Monkwood Studio. He was game to come up with a solution to fit these pieces in to a custom walnut desk. 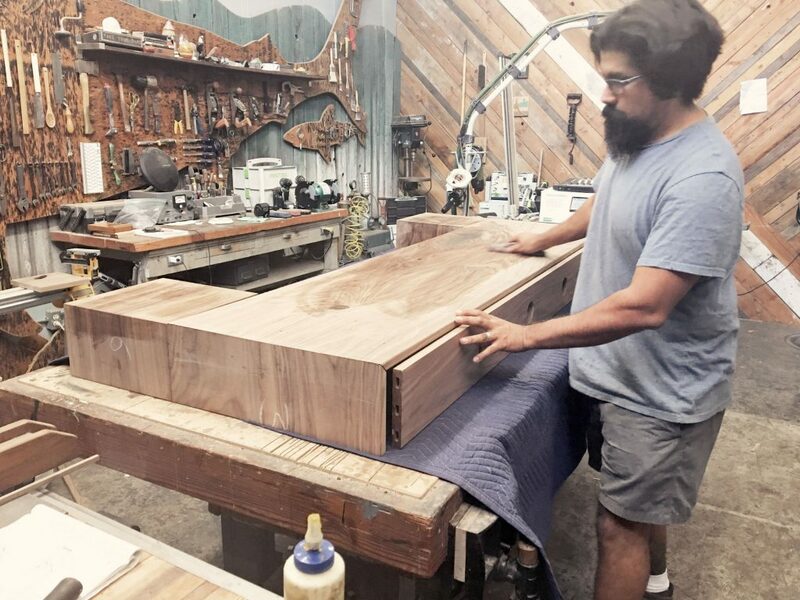 I dropped by his shop in Fullerton, CA to get a sneak peak and saw the beautiful maple slab that he formed into the main desk unit. He showed me his plans for the custom pieces and how they would fit onto the main desk. And…check out his shark-shaped tool wall. Brandon delivered the desk with two rackgear units that each have 6 rack spaces. Lot’s of room and flexibility to determine the best workflow, right at Bobby’s fingertips. After playing around with configuration options, here’s what we put in each rackgear unit on top of the desk: 1) For recording guitars, the signal flow includes: BAE 512A mic pre’s and Chandler TG2 mic pre’s; 2) For recording vocals, the signal flow includes: Vintech X73 mic pre into the vintage UREI 1176 (in wall rack), into an Inward Connections Brute limiter. 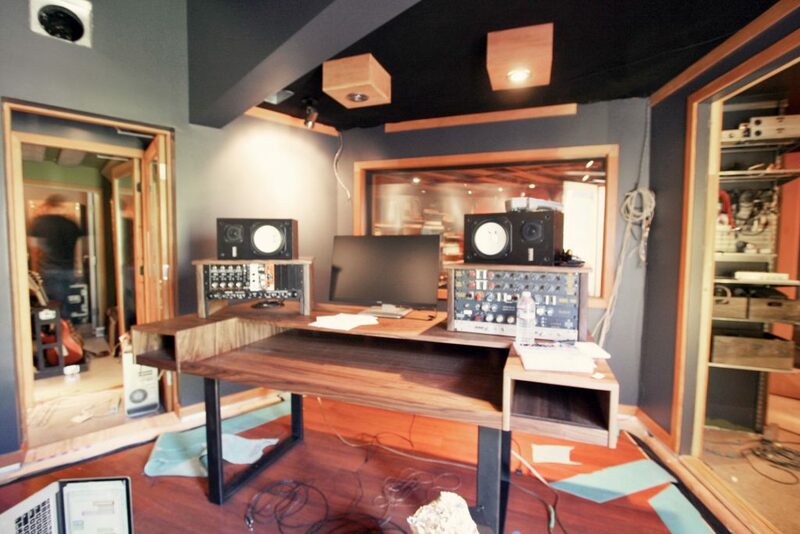 Also, notice how the two Artist Mixes and the Neve console can easily be removed from the desktop if needed. Thanks Brandon! As we were determining workflow, we pulled up the flooring and pulled out all of the old wiring. We installed new patch bays and cable runs which allows for greater future flexibility and better overall work flow. It’s amazing how much wiring we ran under the floor to accommodate new gear, and even just to reposition gear in the room. And finally, we made new cable runs from the racks on the desk to the new patch bays in the wall racks. 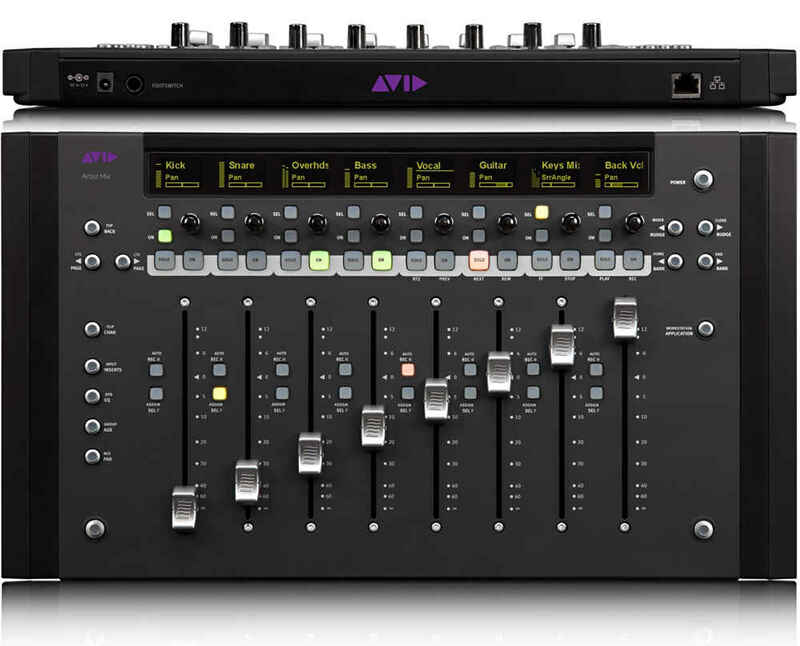 The rack in the picture above features the Apogee Symphony – another new addition. 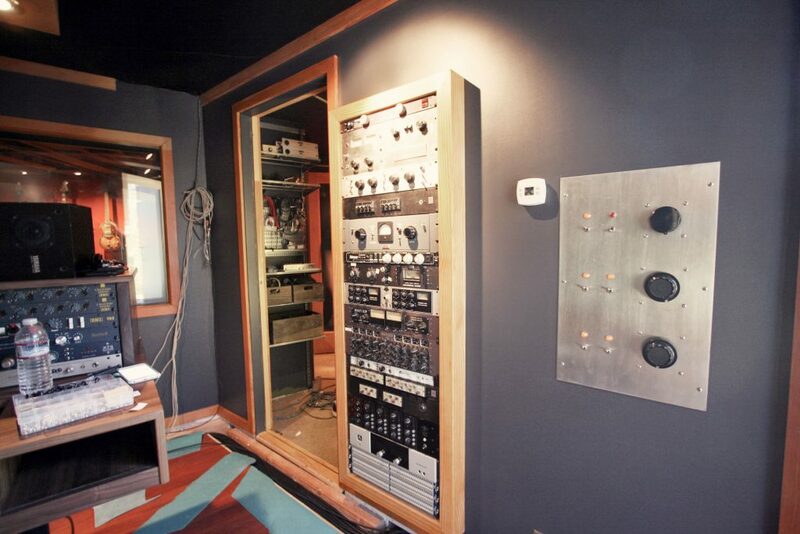 This rack also features a mix of vintage units: Gates Sta-Level, old Telefunken EQ’s and pre’s, and an old Blackface 1176, with modern units: Manley Elop and Massive Passive, and an Empirical Labs Distressor. At the end of this project, we sat back and marveled at the craftsmanship and beauty of the studio and recognized that the creativity of other artisans could breed creativity in us, if we let it. Rather than shying away from the change, or staying stuck in our own workflow and systems, we chose to embrace, and even encouraged, a new way. 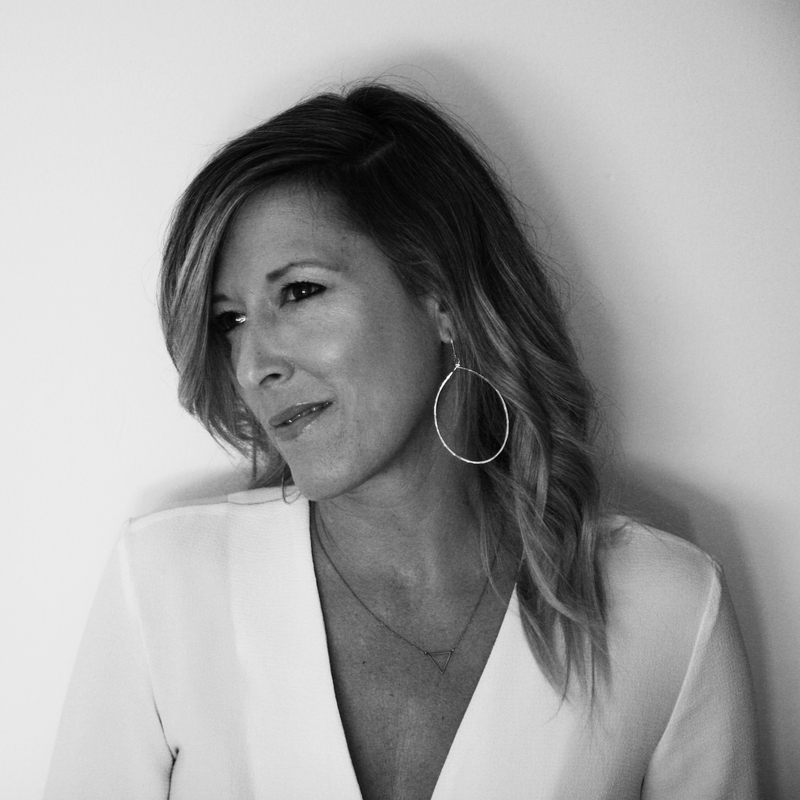 So, all of the work that went into creating each piece of gear and fitting it perfectly together, is now all working to breathe new life into Bobby’s songwriting, guitar-playing and producing. This guy is inspired with new sounds and stretched to investigate new ideas. 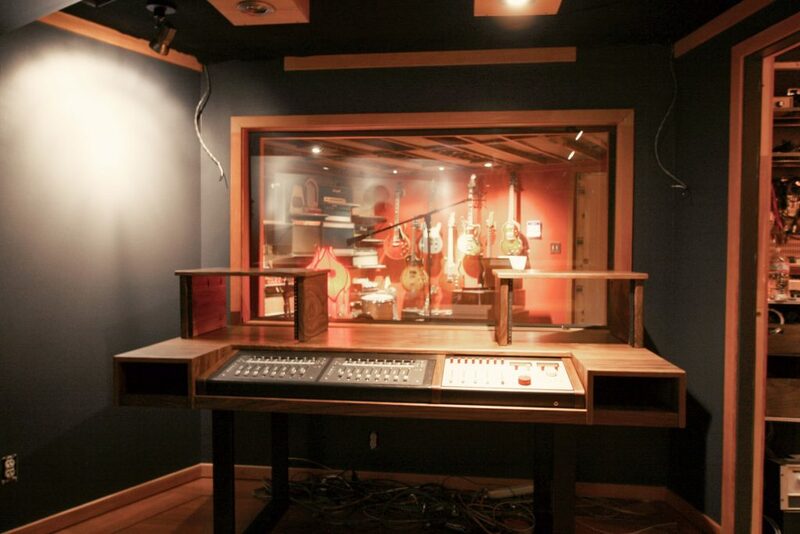 We can’t wait to start sharing the sounds and songs coming out of the fresh and sparkly CatBeach Studio! Check out more details on the CatBeach Studio Project.